It’s unclear whether the Republicans who caused the Senate to deadlock over Medicaid expansion last week will again try to leverage their votes to get other bills passed, or outright try to kill the expansion bill. The one senator who switched to supporting the bill Monday, Republican Russ Tempel of Chester declined to comment about what changed his mind. The Republican carrying the bill in the Senate, Jason Small of Busby, said its intent isn’t to create a permanent entitlement. "In the end, this is trying to get people back to work. It’s not meant to be something that you can live on rest of your life," Small says. The expansion bill requires some enrollees to work or do public service for 80 hours a month. 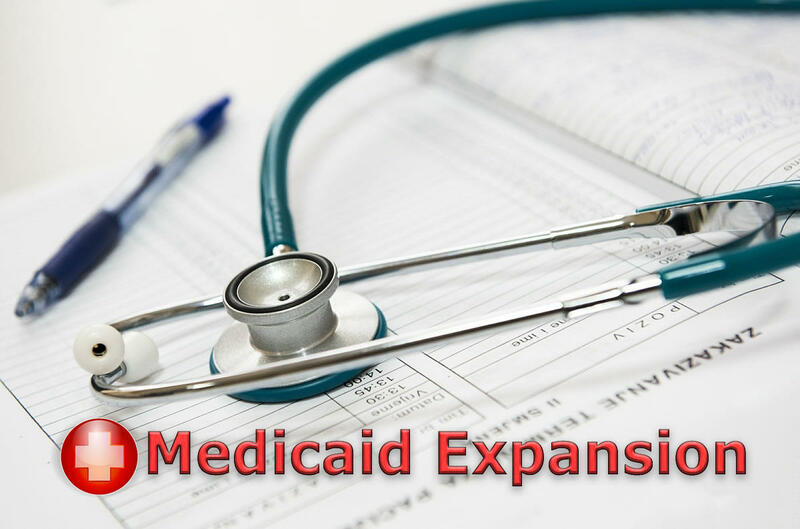 Work requirements were a must-have for many Republicans to support continuing Medicaid expansion which will expire at the start July if a bill to reauthorize it is not signed into law. Six Republicans joined all 20 Democrats in the Senate in support of House Bill 658 Monday. It already passed in the House on a 61-39 vote. When House Bill 658 was first introduced no Democrats supported it. But the party’s own plan to continue Medicaid expansion as-is failed. Senator Minority Leader Jon Sesso, a Democrat from Butte, says his party was able to vote for House bill 658 after changes to it were made. "This is a compromise bill. This is a bill that has been put together by both sides of the aisle. It’s not everything that one side or the other side wants." Some conservative Republicans said amendments to the bill, which revise its language about who is and isn’t exempted from the new work requirements, make the bill "weak." Other Republicans said Montana voters' rejection of a 2018 ballot measure that would have raised tobacco taxes to pay for Medicaid expansion prove the public doesn’t want it. I-185 failed 53 to 47 percent. The campaign against it saw record levels of opposition spending in Montana by the tobacco group that owns Marlboro cigarettes. Senate Majority Leader Fred Thomas, a Republican from Stevensville said lawmakers should look at the bigger picture for how they can create more jobs and better economy. Thomas voted no on Medicaid expansion. "I don’t want anyone to look back and say, 'gosh I wished we had done that one thing to put ourselves there where we could get more than just this bill.'" Over the last week the Medicaid expansion bill has been linked to political horse-trading over other bills, including one impacting the future ownership of the coal-fired power plant in Colstrip. Senator Duane Ankney, a Republican from Colstrip, says the Senate’s endorsement of the Medicaid bill impacted those negotiations. "It don’t, it damn sure don’t do it any good." Ankney said the controversial Colstrip bill, Senate Bill 331 was not the only bill in negotiations, and there were others dealing with the state’s natural resource industries. Ankney was among four original co-sponsors of House Bill 658 who ended up voting against it Monday. "My no vote was based on the fact that I still think there was some work we could've got done, some negotiating with some very important job creating, economy, revenue bills. And this, to me, looks like that just shuts that down," Ankney said. The Medicaid expansion bill, HB 658, is scheduled a final Senate vote Tuesday. The House still has the chance to review and vote on changes to the bill made by the Senate. It then goes to Gov. Steve Bullock’s desk. The Senate’s changes include a six year sunset. That means that if the expansion bill passes and is signed into law, Montana lawmakers will have to debate the healthcare policy again in 2025.